The wacky and wondrous world of the AT&T comedy series LOUDERMILK is a surprising experience. It is like dipping your toes into the pool and happily discovering that it is much warmer than expected. 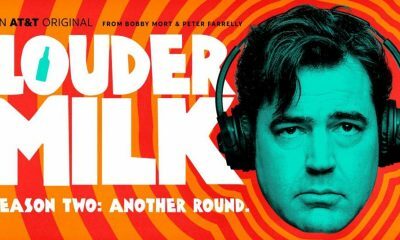 Premised around a recovering alcoholic who leads a sobriety support group, LOUDERMILK is not what you expect. 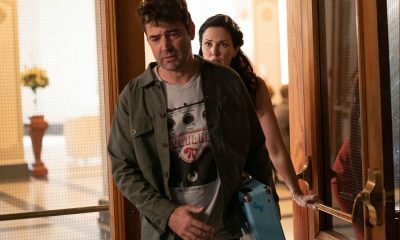 Part cantankerous alcoholic and part rebellious ex-music critic, the lead character Sam Loudermilk (expertly portrayed by Ron Livingston) is a lovable, warm-hearted guy who fights to stay sober and who has discovered that the secret to staying sober just might be in helping others fight for their sobriety. It’s not perfect, but as a coping-mechanism and success-strategy is does seem to work in LOUDERMILK. Subscribing to the classic “misery loves company” theory, Loudermilk and his merry band of misfits astoundingly work as a semi-dysfunctional sobriety team, who hold each other accountable for their misdeeds and missteps, while providing an unyielding anchor in the daily struggle to fight the urge and routine of seeking solace in the bottle and resisting the siren call of drinking into oblivion. 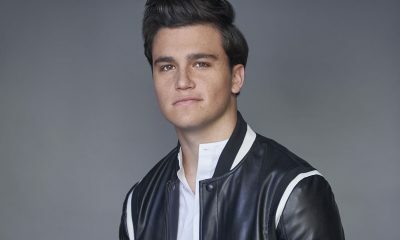 After a tumultuous and zany first season that ended with Loudermilk discovering that his best-friend, roommate, and sober-sponsor was marrying Loudermilk’s ex-wife and a predictable knee-jerk sober relapse in response, Season 2 picks up with Loudermilk searching for another way to re-establish his grasp on sobriety after having everything he thought he could count on was ripped away. Caught up in the Loudermilk sobriety death-spiral is the newly sober Claire (Anja Savcic), a rebellion hellion whose path to stay sober is just as tricky and land-mine filled as Loudermilk’s. But having just fought so hard to get sober, Claire tenaciously fights anything or anyone who threatens her recovery. It is amazing watching Anja Savic effortlessly mix humor and ennui infused with heart-felt connection into her performance as Claire. In an exclusive interview from the set, Anja Savcic talks about where Season 2 finds Claire and how Claire will fight for Loudermilk just as hard as he fought for Claire last season, though Loudermilk may not like being the recipient of the tough-love tactics that he has always espoused to the group will find now that the tables have turned. Season 2 is about Claire’s big journey as she’s made it through first bit of her long-road of sobriety. How far along is she at this point when we see her again? ANYA: She’s pretty far. I would say she’s actually doing the best out of everyone in the group now, which is definitely testament to Loudermilk’s help. But she also has changed a lot since the first season. Each person in their sobriety journey needs a touchstone, like something they refer back to that keeps them grounded a little bit. What do you think would be Claire’s touchstone? ANYA: Oh, wow. I think maybe just remembering her rock bottom because she didn’t really have anyone there for her. I don’t think she wants to go there again, and she doesn’t want to have to turn to Loudermilk again while she’s in that state. That would be embarrassing for her. So just looking in the mirror a little bit kind of terrifies her — where she came from? ANYA: I think so. I think she sees that there’s a bright future ahead, and I think she wants to explore that, and she knows she can’t do that if she continues down the road she did. What’s her journey like with the group now, especially when they’ve had to relocate? ANYA: Well, she’s the only female in the group still, so there’s that. But she’s bonding more with the people in the group, and she’s getting more comfortable sharing. That’s actually a big part of this season is she shares a lot about her past and her relationship with her father and her mother to the group, which is a big step for her because she wasn’t very open in the first season. What’s it like rooming with Loudermilk without the cushion of having Ben (Will Sasso) around to kind of give that some cushion? ANYA: Well, I think it’s good right now It’s good because she was really there for him in the last episode in New Orleans, and they’ve built a bond. They always bicker, but there’s so much love between them and friendship. Loudermilk kind of saved Calire in the first season. Is she kind of saving him in the second season? Because he was definitely on the brink there in the Season 1 finale. ANYA: [Laughs] I think he doesn’t even know how much she’s helping him until he realizes it and kind of admits it to her, but then takes it back. Claire has always been a big proponent for encouraging Loudermilk’s relationship with Allison (Laura Mennell). So is she still pushing him? 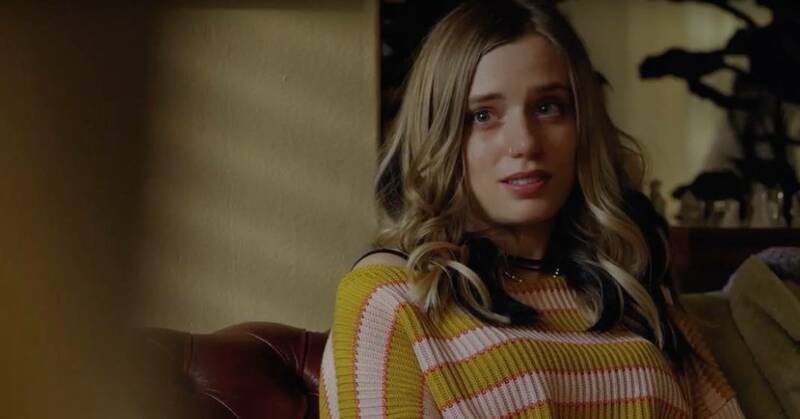 ANYA: I think she wants him to find someone because she’s his “rock” now, but she needs to move on and spread her wings and live her life, and she wants him to have someone. So when Ben comes back, that’s what he gets to have. But, of course, she wants him to have a lady friend because he’s very bitter, and I think she thinks love would make him happier. What about for Claire? Doesn’t she deserve love of her own? ANYA: Of course. Not with her ex-boyfriend, who was quite the dirtbag, but she does have a bit of a love situation this season. It doesn’t go too far, but she’s open. But I think she needs to focus on building her life and focusing on herself and what she needs to do before she ventures into romance. I think it’ll distract her. Is Claire ready to forgive Ben? ANYA: I think she’s very quick to forgive Ben, and she wants Loudermilk to follow suit. But I think that also has to do with her own selfish thoughts of wanting to move on and having him have someone. So I think a part of her getting Loudermilk to reconcile with Ben is for him to have someone and for Ben to have someone too. Who else besides Ben and Sam does Claire really relate to in the group at this point? ANYA: Well, Cisco’s [Tyler Layton-Olson] her age, so she relates to him. They get along. Also, Cloud [Sam Bob]. He is the sweetest character ever, and everyone loves and gets along with him, so she likes him a lot. But Loudermilk is again the person she connects to the most. They just have the same sense of humor, the same self-deprecating thoughts about themselves and other people. So that’s kind of the person she gravitates to the most. Will Claire be really strong in her sobriety journey this season? ANYA: Yes. Definitely. Yeah. Stronger than we’ve seen her ever before, which is a whole new thing to explore. What for you is fun about working on this show? ANYA: I love working with so many different comedians and people involved in comedy. Obviously, the Farrelly brothers are iconic. Then you have someone like Brian Regan. He’s been doing comedy for decades and is just cream of the crop. And then obviously, Ron [Livingston]. He’s also so well-seasoned comedian. So I’m just learning so much about improv, about relaxing, how to learn things in the heat of the moment because we change so many lines, and we improvise and discuss every scene when we do it, so there’s a lot of changes to keep up with, and that’s been really exciting but also really challenging. What surprised you about this show that you would have never expected? ANYA: I guess the fact that I get to play someone who isn’t just the pretty girl next door. It’s like, she has some grit to her, and she’s herself. She’s not the typical female character you see on television, and that was really flattering to get to play because it’s not a common thing. She also uses some pretty colorful dialogue. ANYA: [Laughs] Yeah ,well, everyone does, which has also been tricky when it comes to family members watching the show ’cause I never know what I’m gonna be saying or doing, but sometimes I do it, and then I go, “Oh, crap. We’ll see how that goes when my family watches it.” But, overall, I love the humor, and I love the content, and I like that we can play around with those words because they’re words you use in real life, and that’s important to tell the truth of the story. I also was surprised how hopeful your show came across for people who are kind of at the bottom of their lives —the show seems to be imbued with a natural sense of hope about it all. ANYA: Yeah. I think there’s so much positivity when it comes to sobriety. There has to be because you’re hopeful that you’re gonna keep doing it. It’s a day by day thing, but every day, you tell yourself, “No. I’m not gonna do it today.” You know? So there has to be this positivity in it. But with that also comes a charm and a heartfelt side to the show, which is really important ’cause the comedy isn’t just supposed to be funny. It has to have real truthful tidbits in it. And without that, it’s not really anything important to watch. What would you like fans to look forward to for this season particularly? ANYA: I think they can look forward to Loudermilk having more of a journey. His dislikes become something that bother him, which is very interesting, and others notice him shifting, and they get a little shifty about that, but also inspired. I think you can look forward to Claire changing and growing and becoming an adult, and I think we’ve all gone through that stage in our lives where we change into something for the better, and it’s exciting to watch someone go through that process as well. 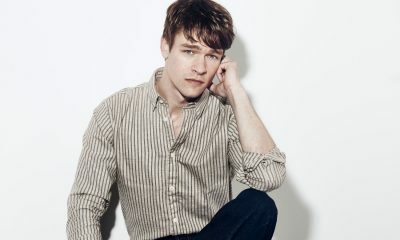 It kind of strikes me that maybe this season, Loudermilk might be a little bit in free fall from the emotional repercussions from the first season, and it seems like everybody else is scrambling to grab him and catch him a little bit. ANYA: Oh, yeah. Definitely. He has to rely on people this season, and that’s very new to him because he’s very independent, or so he likes to think he is. But he’s not. Everybody needs someone, and he has Claire, and later on in the season, he has Ben. And I think he realizes that’s kind of his family, and I think it makes him a little bit sentimental, which is the beautiful, heartwarming part of this season is the realization of that for all three of them. With the promise that while every day is tough, there will always be someone there to help you through it, LOUDERMILK really delivers a laugh out-loud comedy nestle amongst a relatable story of a guy making it one day at a time with a bunch of folks who get it and yet they will always be there for each other, no matter what insanity life throws at them. To see how Claire finds a way to not only help Loudermilk, but also finds a way to carve out her own path to recovery and the exciting new life that it holds for her, do not miss the Season 2 premiere of LOUDERMILK on Tuesday, October 16th at 10:00 p.m. exclusively on Audience Network on DirectTV.